and one of the few livery yards in Devon to be BHS approved. Situated in spectacular Devon countryside, just east of Haldon Hills, Hyperion is just 10 minutes drive from Exeter city centre offering a full selection of livery services alongside a comprehensive breaking and schooling service for horses and ponies. Hyperion combines first class professional facilities with a caring and relaxed atmosphere. 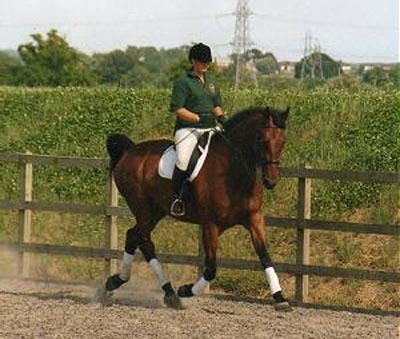 The horses and their owners are our top priority and our aim is to provide a service where both can realise their potential and enjoy their time with us. We welcome any enquiries whatever your level of experience. Exit A38 at Kennford Services. Turn left through the village of Kennford. Follow the road as it turns north and crosses back over the A38. Immediately after crossing the bridge turn left towards Clapham. As you approach the village watch out for "CLAPHAM" sign. Take the first left AFTER this sign and after about 1/4 mile you will find Hyperion Equestrian Centre and Stud Farm on the right hand side of the road.